Is your roof between 20-30 years old or older? Did it sustain damage in the last big storm and you’re not sure if it can be repaired? Not sure how to cover the cost of a repair or replacement? On average, an asphalt shingle roof, the most commonly used roof will cost between $2000 – $8000 to replace. The price varies in respect to roof size and complexity, materials used and labor needed. It is important to consult your roofing contractor about available financing options. Before approaching a contractor, do your research and determine the size and complexity of your roof, in addition to your desired roofing materials. It is important to note that roofs are typically quoted per square foot. Your estimate will also include the labor for installation and a disposal fee for your current roof. Shop around! This will give you the opportunity to choose the best price for the best quality of material for your roof. Make sure to do an apples to apples comparisons. Don’t be too quick to go for suspiciously low bids as they might not offer quality services which might end up costing you more in the future. These low bids may not include a disposal fee. Make sure to ask your contractor if they have material and installation warranty. This safeguards you from extra costs that may be brought up by any accidents or injuries that may occur during the roof repair or replacements. Peak season for most roof replacements is during the late summer and early fall. Instead, opt for a replacement during spring and late winter as the prices are lower and you can take advantage of any off-season discounts. Homeowners insurance will typically cover damages that are not caused by neglect. Your home insurance will not pay for long-term damages and leaks, so if you would like to make a claim to buffer the cost, report the damage as soon as you discover it. Before placing a claim, carefully examine your homeowner’s policy and carefully follow the procedures indicated. Determine the types of damage that are covered under your policy, for example, some will cover damages from hail and storms while others do not. Insurers will normally take photographic evidence when processing your claim. Be sure to take photos of your own in case they are needed for future reference. a written estimate with specific details. names and warranty information from the material manufacturer. your roofer’s license and insurance. Some insurance companies will require additional requirements met such as the use of select materials that can withstand natural hazards, hence increasing your roof’s durability against natural disasters. 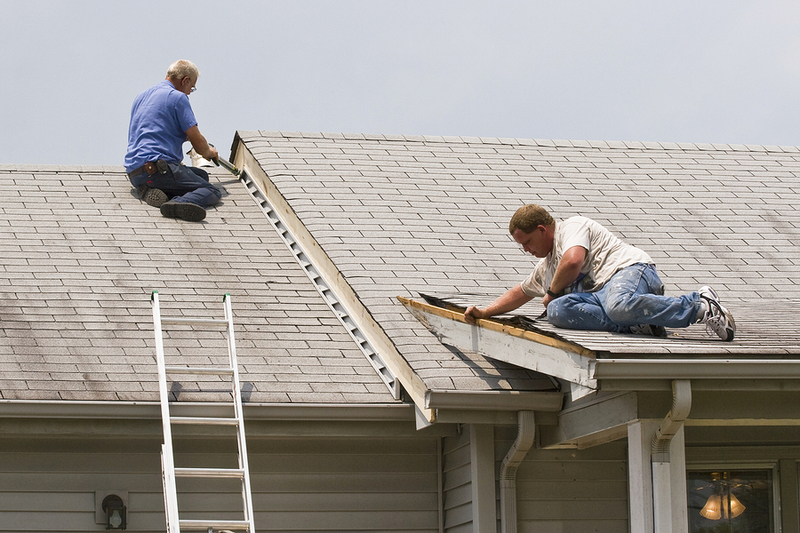 You can reduce costs by removing the old shingles yourself, as long as you have the right tools and equipment. The work can be difficult and it’s best to talk to your contractor about it first. This entails putting new shingles over the old ones which means less labor and time, hence saving on cost. This method, however, shortens your warranty and roof life, while increasing future replacement costs. It important to do some research if you believe your roof is in need of repair. If you need guidance on replacing your roof, call All-Nu construction today.